The World Athletics Championship started this weekend in Moscow. A record number of athletes from 206 countries is currently competing for 47 sets of medals. The highlight of the second day, and some would say of the whole championship, was the men's 100m race, which attracted the attention of sixty thousands people at the Luzhniki Stadium and millions of TV viewers waiting to witness the fastest man in the world work his magic. Viewers had a lot of interesting events to follow before the 100m race. The women's 10km race with an amazing finish sprint by Kenyan Tirunesh Dibaba was a memorable moment, as were the qualification races, accompanied by the loud cheering of the Russian fans gathered to support their female athletes. Russia also merrily celebrated Russia's first gold medallist - race walker Aleksandr Ivanov. Just a few minutes before the 100m race, heavy rain started to fall. 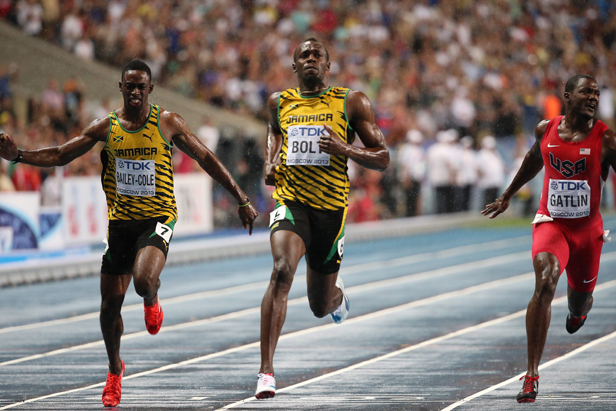 Despite the unfavourable conditions, Jamaican superstar Usain Bolt demonstrated his superiority by setting the eighth fastest time of his career.